The historical sagas, comedies and documentaries shot during communism had one goal in mind: combat the oppressive regime on an intellectual level. Censors blocked them from being screened during that period but that just made them more sought-after. Ever thought that a film into which you poured your blood and sweat could end up being banned? This is what happened to these films under communism in Poland. Any film that criticised the communist party, the system or spread anti-communist ideas wouldn't make it to the screens. They would end up packed away and hidden. The censors' role was to keep people from seeing these films. Once they were edited or classified as non-threatening, they would be released from censorship. Over thirty films are known to have been kept from the people of the People's Republic of Poland. They were referred to as "półkownicy", meaning "shelvers". Some films would be left on the shelves for 2 to 3 years (Feliks Falk's And All That Jazz or Wiesław Saniewski's Custody), others would lay there for 18 years (Jerzy Skolimowski's Hands Up!) or even 25 years (Aleksander Ford's Eighth Day of the Week). The record winner is Jacek Burtymowicz's Fern Flower which had to wait 37 years for its premiere. The first films to start the forbidden shelf collection were two shorts: Antoni Bohdziewicz's 2 x 2 = 4, shot right after the war in 1945 and Leonard Buczkowski's W chłopskie ręce. They were both commissioned by the regime that took over after the war. But the feedback that the directors received was that their films weren't "zealous" enough and too "ideologically ambiguous". Soon joining the collection were Stanisław Wohl and Józef Wyszomirski's Two hours from 1946. The film escaped the shelf prison in 1957. Poland: Jerzy Skolimowski - Hands Up! This film was shot in 1967, and having reached maturity 18 years later, it was shown to the public for the first time in 1985. What didn't the censors like about it? Skolimowski's "nit-picking and pessimism". The plot was about a group of friends, former members of a communist association for Polish youth, who met on the 10th anniversary of their graduation from medical school. They've made their own ways in life. They have money and nice cars (instead of their names we know them by the brand of their car) but they feel unfulfilled. One friend is missing from the group - a man who had been thrown out of the association for asking "uncomfortable" questions. We are left to wonder why he might be missing. But we're not the only ones to catch on why he could be missing, the censors guessed the subtext too. Bacsó's comedy from 1969 spent 12 years tucked away from the public eye. The reason for its seclusion was its absurd and surrealistic portrayal of the communist dictatorship of Mátyás Rákosi. The film's protagonist is an impoverished guard of a lock on the Danube - József Pelikán. But when he meets an old friend from the underground army - Zoltán Dániel, who works in the central administration, his life is forever changed. Years later, thanks to this connection, he receives a special task from the government: he is to grow Hungary's first orange. What we see as a good comedy, the communist regime saw as an insult to socialism. Shot during the martial law, the film is the most visceral portrayal of communist terror. The Interrogation was censored for seven years. It could be viewed for the first time in 1989. It's the story of an artist arrested by the Security Bureau who is forced to testify against her friend. 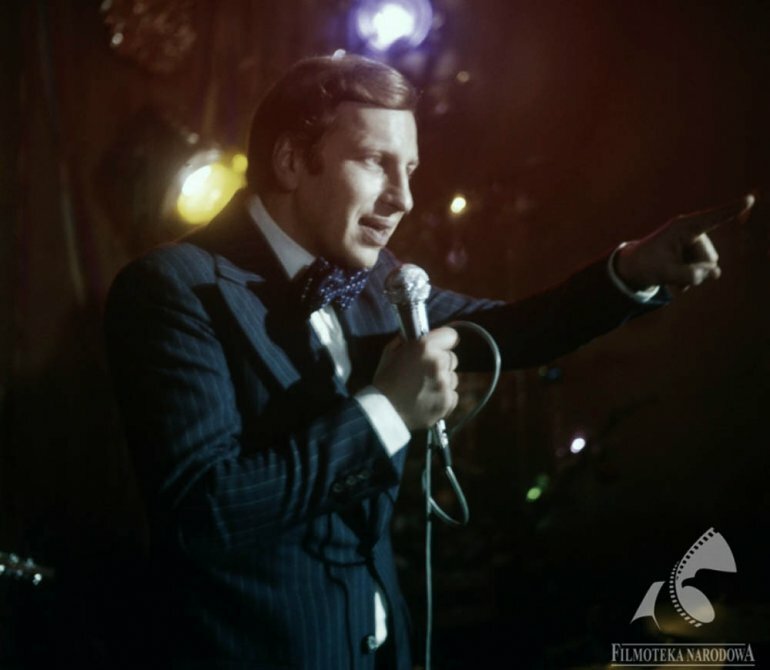 It was hailed the most "anti-communist film in the history of the People's Republic of Poland". It changed the course of history. 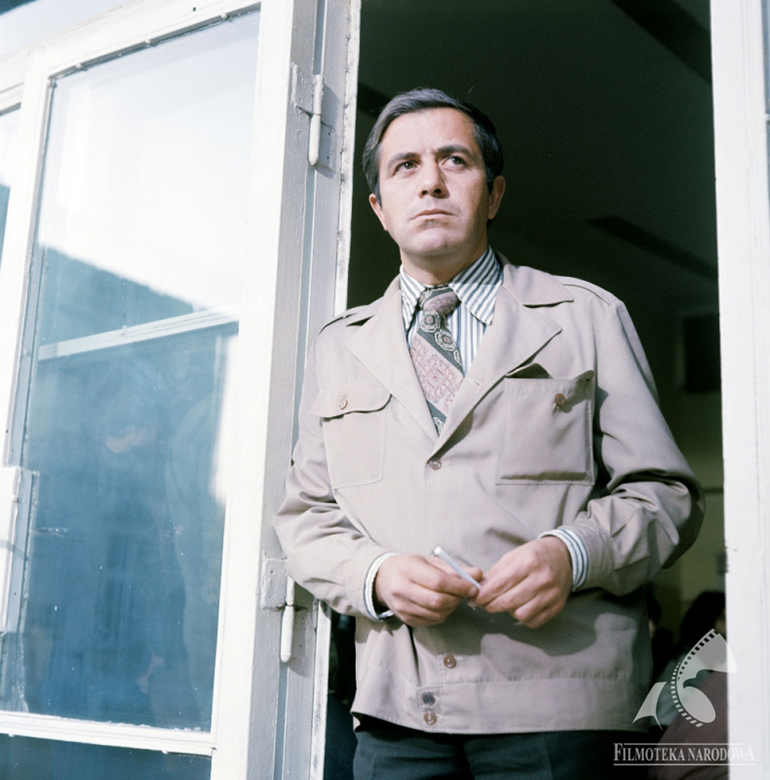 It was the reason for the disbanding of Andrzej Wajda's brainchild - the Polish film production studio Zespół Filmowy X in 1982 and for Ryszard Bugajski's decision to emigrate from Poland. The documentary is a harrowing accusation against a totalitarian regime. 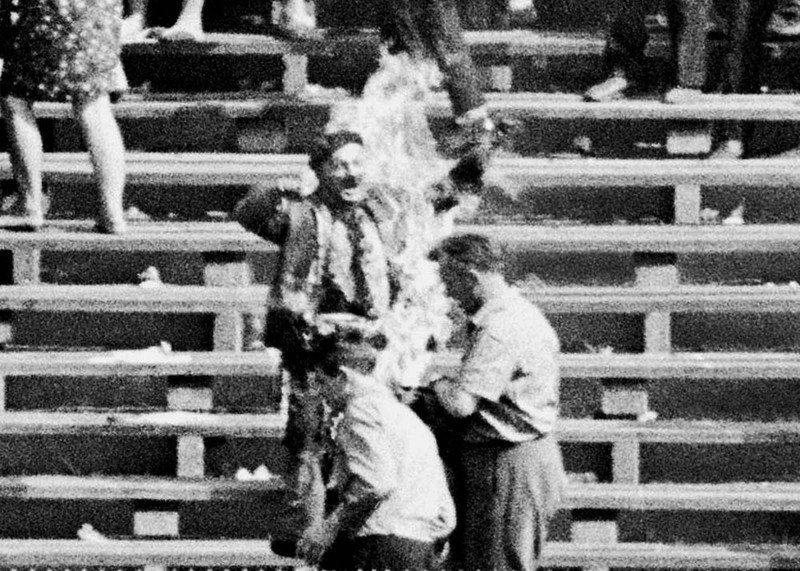 Hear My Cry (Usłyszcie mój krzyk), shot in 1991 writes out the story of Ryszard Siwiec, a civil servant, who committed self-immolation of the 8th of September 1968 during a harvest festival at the National Stadium in Warsaw (then still called the 10th-Anniversary Stadium). His act was a protest against "the tyranny of lies taking over the world". The tragic event was recorded on a seven second long fragment of tape. For the director, tiny fragment was enough to work with. He created a film about human honour and the battle for humanist values. Drygas' film is a masterpiece amongst Polish documentaries - perhaps the most powerful one. Man of Marble is one of Wajda's best films. It translated into film the way many people felt about communism: disillusioned. The picture is painted through the story of a young journalist who is trying to gather material for a documentary about the Stakhanov of the People's Republic of Poland - Mateusz Birkut. His rise and fall tears the promises of the communist system to shreds. Although the film has an open-ended conclusion so as not to arouse the doubts of the censors, it was clear that Mateusz Birkut probably died during a strike in the Gdańsk shipyard in 1970 when the militia and army started shooting at the protesters. The year is 1936 and Stalin is carrying out ethnic cleansing in the Soviet army. Among its victims are the revolutionary Kotow (Nikita Mikhalkov), his wife Marusia (Ingeborga Dapkunaite) and daughter (Nadezhda Michałkowa). This Oscar-winning film is a nostalgic tale about the rolling wheel of history which crushes lives and claims victims. 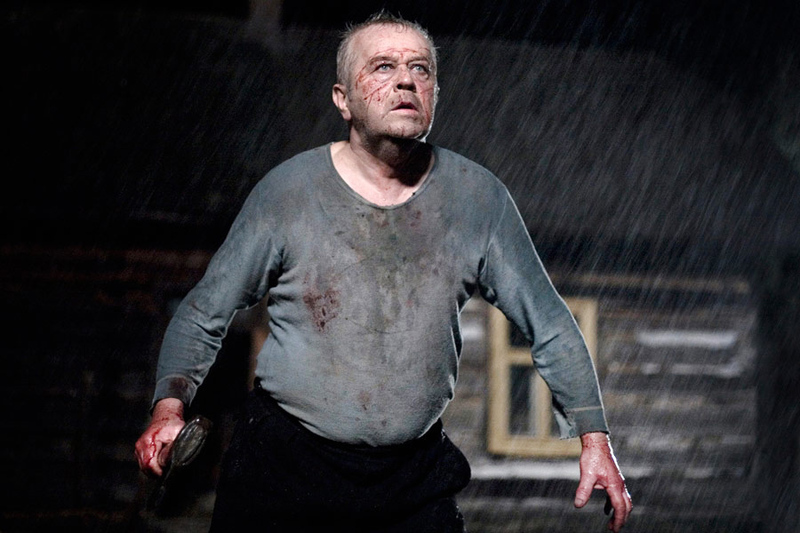 Mikhalkov's film illustrates the darkest period of 20th century Russian history. Years later, Mikhalkov destroyed the beautiful legend of his film by shooting two sequels which fell into the nationalist propaganda genre. 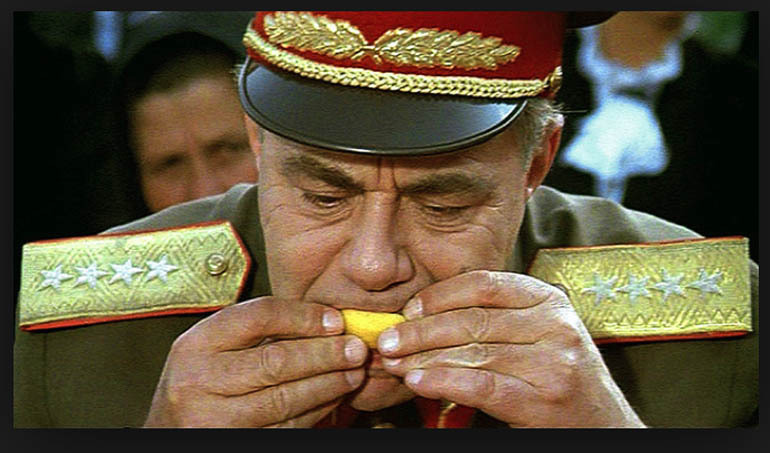 Burnt by the Sun, filmed three years after perestroika, was an attempt to face Russia's difficult past. Before, such attempts were infeasible. Russian films that would hit the censors were works featuring nonconformist representations of Soviet history. Examples include Aleksey German's Trial on the Road and Elem Klimov's Agony. One of the director's prominent works is The Joke, adapted from a novel by Milan Kundera. The film, shot in 1968 tells the story of Josef Somr, a man expelled from the Czechoslovakian Communist Party for an idle joke to his girlfriend, and the revenge he later seeks through adultery. Kunder based the novel on something that happened to him in the past. As a young man, in the 50s, he was a communist and had to leave university because of "something he said that he should not have said". In the film and the book, the protagonist takes revenge on the man who ratted him out. But revenge is a monster and the urge can keep one trapped in the past. The Joke was one of the masterpieces of Czech New Wave from the 60s. Fighting the system by ridicule was a dangerous tool, and directors knew it. Jerzy Gruza was the author of the most popular comedy series of the People's Republic of Poland: War at Home (Wojna domowa) and The Forty Year Old (Czterdziestolatka). He explored and mocked the absurdities of the system. One of his best films was Party for Ten People Plus Three (Przyjęcie na dziesięć osób plus trzy). The script, written by Jan Himilsbach, illustrates a degenerated system with confused values. Workers are not getting their salaries because, as they are told, there is no money, but at the same time, lavish dinners are organised for the managers. The censors recognised the uncomfortable truth and kept the made-for-TV film from public sight for seven years. Whatever adjective you give it: best, greatest, among the best, or top of the top, Bareja's Teddy Bear (Miś) is the Monty Python and the Holy Grail of Polish comedies. 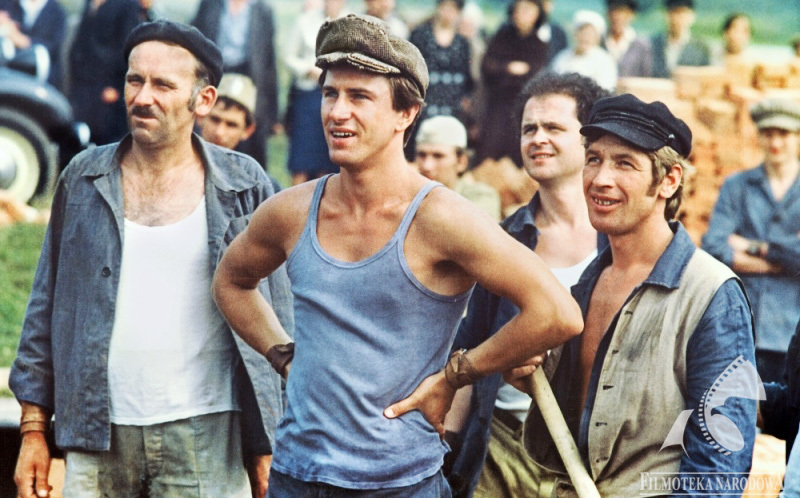 Before he created his triumphant work, he had been mocking Polish socialism for years with comedies like Brunet Will Call (Brunet wieczorową porą, 1976), What Will You Do When You Catch Me? (Co mi zrobisz, jak mnie złapiesz?, 1978). 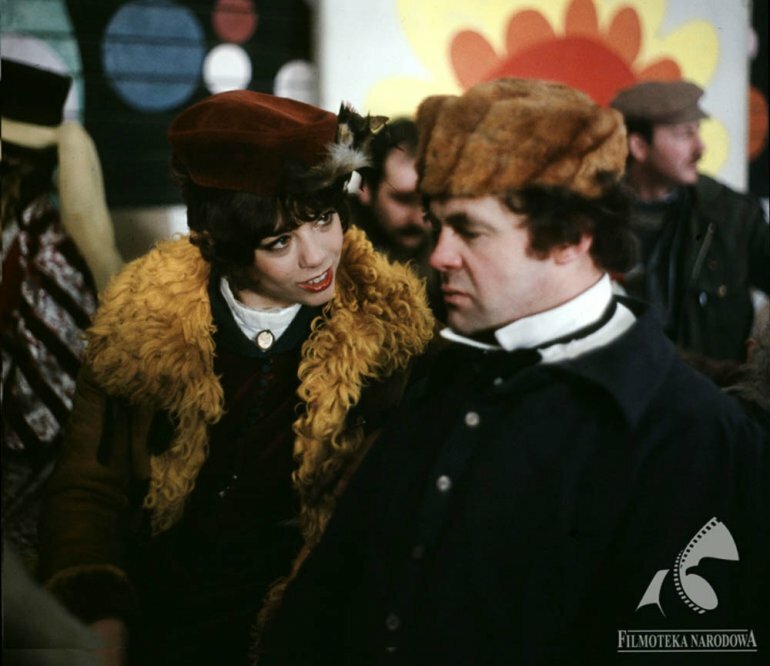 Teddy Bear was shot and screened during a period of thawing censorship (1980). So Bareja went as far as he wanted. He drew caricatures of civil servants and caught the paranoia on tape: the cutlery in state-owned restaurants (urban canteens with cheap traditional Polish food) was chained to table and could not be unchained for eating. Anne Applebaum talks about these restaurants on Culture.pl. Czechoslovakia endured 41 years of communism and thousands of victims (267 thousand imprisoned, 248 executed for political reasons), but Czechoslovak cinema didn't use a harsh tone towards the perversions of the system. 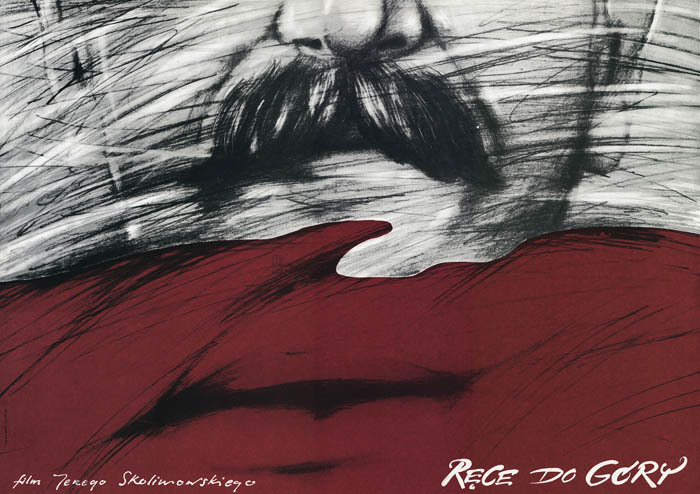 In 1967, Vojtech Jasny directed All My Good Countrymen, a story about the fates of rural Czechs as they struggle to adapt and survive under collectivisation and expropriation; a film later banned in Czechoslovakia after 1968. But most filmmakers used satire to paint a picture of reality. Ivana Passer, Jaroslav Papoušek, and Miloš Forman, they were all interested in - as Forman put it - "life, problems, the joys and sorrows of those who didn't get the chance to become Gagarin, Čáslavska or Karel Gott". Polish filmmakers from the 70s and 80s shared that perspective. Krzysztof Kieślowski, Agnieszka Holland, Krzysztof Zanussi and Feliks Falk created the cinema of moral anxiety with the aim of publicly shaming the dishonesty and lies spread by the communist propaganda machine. The current was sparked by Krzysztof Kieślowski's Personnel in 1975. The following year he put the moral anxieties of the generation into the language of film again with The Calm, about people who want to lead normal lives. Censors weren't pleased - the film's premiere was postponed by 5 years. When Agnieszka Holland depicted poverty without glorifying it, which she would later do in The Wire, her film Lonely Woman was deemed unfit for showing. Made in 1981, the film was delayed by eight years. Kieślowski's Blind Chance was taken away for six years. Twenty years later, the film underwent digital restoration and the reconstruction artists found six scenes that had been deleted by the censors. One of them couldn't be saved - a scene in which the militia beats up the film's protagonist. The censors had deleted all the images and left only the sound. But it wasn't only explicit scenes that the censors put on their lists of forbidden works. They banned Krzysztof Zanussi's Camouflage for exhibiting nepotism in institutions, and Feliks Falk's Top Dog and Kieślowski's Amateur for laying bare conformism as a means of survival. Polish cinema from the period of the People's Republic of Poland adeptly described the different aberrations of the communist system. However, the country's cinematographers, with the exception of Wojtek Smarzowski, never produced a work that deals with the lingering heritage of the Soviet system on contemporary society. Did "homo sovieticus" disappear for good or did he mutate into something new? Yet great filmmakers from Russia (Alexey Balabanov and his shocking film Cargo 200 about the moral degeneration of people who lived under totalitarianism) and Romania managed to create films that mirrored the impact of the systems on the mentality of people. Mungiu sharply evokes the constant Stalinesque spectre of living under surveillance. Most every unnerving moment in the film arouses some brand of suspicion, about activity, feeling and movement that the smallest of gestures carry the threat of being watched over, judged or humiliated. The film won a Palme d'Or. 4 months, .... doesn't stand alone as a representative of Romanian cinema. Two years earlier, in 2005, Cristi Puiu shot The Death of Mr Lazarescu in which he drew a picture of an equally soulless post-communist system built on the relics of communism and Corneliu Porumboiu directed 12:08 East of Bucharest, a Camera d'Or winner which shows how history can be modified for the interests of the ruling class. Mungiu, Porumboiu and Puiu show that communism didn't end with the falling of the Berlin Wall but it lives on in the mentality of the people who were oppressed for many years. Peter Hames, "Czechosłowacka Nowa Fala", przeł. Grażyna Świętochowska i inni, Słowo/Obraz Terytoria, Gdańsk 2011. Tadeusz Lubelski, "Historia niebyła kina PRL", Znak, Kraków 2012. Polskie kino dokumentalne 1989-2009. Historia polityczna, tom zbiorowy, Warszawa 2011.